A little bird.....well...actually a pretty big bird told me that one of your teams has been named "Team Keith." As long as this is not some sort of morbid memorial name I am flattered, but I feel compelled to pass on a little lore surrounding the origins of Clan Keith. In the early 11th century the Scottish king Malcolm II defeated the invading Danish general Camus. After slaying the general Malcolm dipped three fingers into his opponents blood and drew three lines down his shield. Malcolm went on to found the Keith clan in the region of the same name. So what I am trying to say is...like..be all badass tomorrow, all of you. I don't know the history of why Cherry Blossom is such a tradition in this club, probably something to do with the premier nature of the event, time of year, and the usually otherworldy canopy of Hains point. After some time I suspect and hope that the history of GRC at Cherry Blossom will become legend known to be at least as (metaphorically) bloody as the defeat of Camus by Malcolm II. 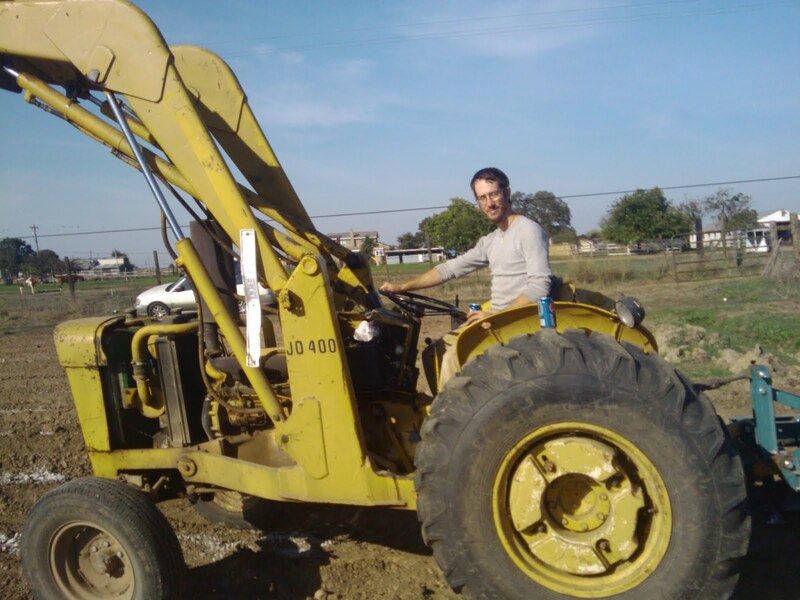 Brief update: I am now the operations manager of Feeding Crane Farms in Sacramento, the capital city of the famously famous and now famously broke state, California. Running here is good, but not the same without a full team of GRC yaayhoos. I miss you all and again, good luck tomorrow. My mechanical farmy and I salute you. 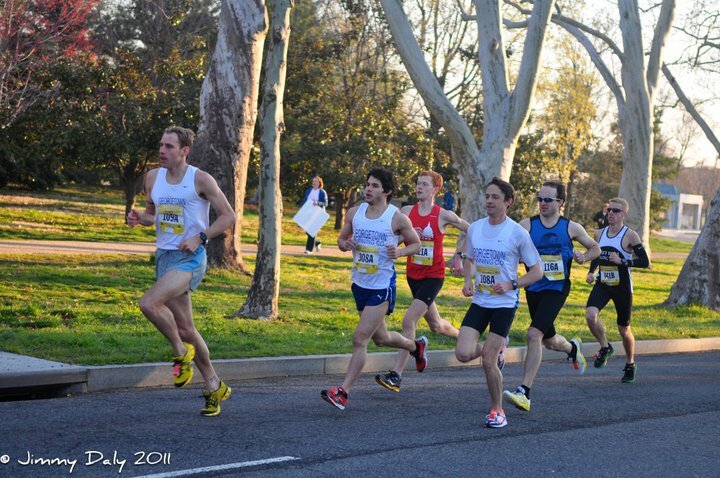 In other (track) news, GRC expatriate Dirk de Heer ran 14:48 last week and is scheduled to race Mt Sac in April. 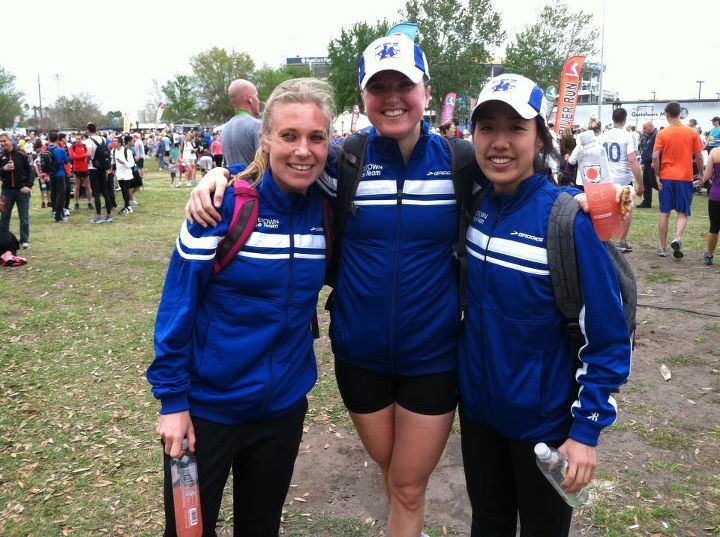 UPDATE: Luff runs 14:26, Maura 17:49 (PR) in Raleigh. According to Coach Jerry Alexander, Luff reportedly "went for it" and was on pace at two miles (9:05). "No regrets", says Luff, of the fast pace. And in St Louis, Hanson runs a solo 14:44 and places 2nd. It's another big racing weekend for the GRC, the biggest of the spring. Almost three dozen GRC jerseys will be on the roads and tracks around the mid-Atlantic, with one on the banks of the Mississippi. Friday night, Sam Luff and Maura Carroll are at NC State, ready to take on 5k races at the Raleigh Relays. "Sam is in fantastic shape, and he's going to be in a very fast heat, so he could threaten his own club record (14:15.2)," said GRC coach Jerry Alexander. Luff recently closed out a 4x mile workout with a 4:23. Carroll is making her 5k track debut, but is following up a solid effort in the winds of Ashburn, Va at the Van Metre Five Mile. Meanwhile, Ryan Hanson is in St. Louis to run the 5k at the Washington University Invitational. "Ryan is getting a late start to the season, and though he lacks race sharpness, he is in great shape," Alexander said. "He will be in a competitive field, and a PR (14:46) is a distinct possibility." In the morning, Ryan Witters will take his club-indoor-mile-caliber feet to the Maryland Invitational, where he will do the 800/1500 double. 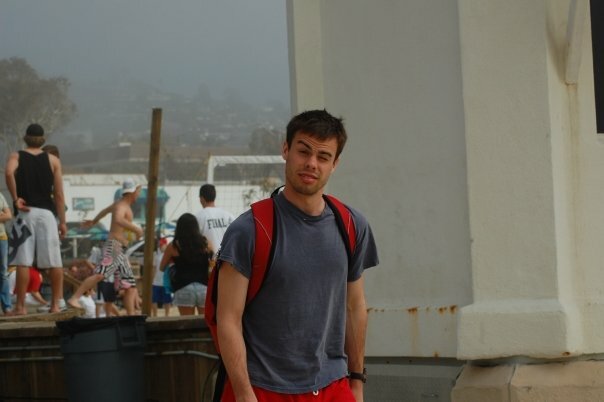 "Witty will have a great shot outdoors at breaking the club record in both the 800 and the 1500," Alexander said. Jason Myers is aiming to take a chunk out of 5k PR the size of his bicep. The main event, though awaits on Sunday. 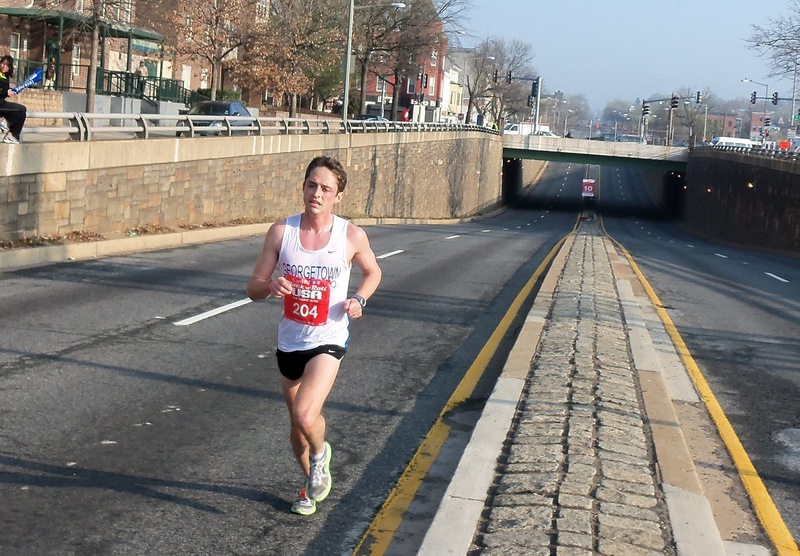 Twenty four men and women will be tearing around Independence Avenue and Hains Point. Ten will be racing for money, all will be racing for pride. The weather looks great for the Credit Union Cherry Blossom 10 Mile Run, the temperature a little under 50 degree when the gun goes off at 7:30. CB veteran Jake Klim will lead the team into Washington's annual rite of spring, with a few runners eager to prove themselves. 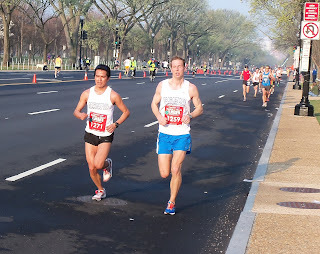 Klim himself has not run a race longer than 5k in almost two years, but has a preternatural feel for the Cherry Blossom course and the distance. Karl Dusen, the top GRC finisher last year when the men's team took home the title, will take the the course with less preparation but no less intensity or desire. "Karl's been looking good the last couple of weeks, and he will give it his all," said GRC coach Jerry Alexander. Dave Burnham, coming off an impressive race at the National Half Marathon two weeks ago, is ready to cut loose and beat the race within an inch of its life. "Drea Garvue is ready to make a major splash on the local road-running scene," Alexander said. "She is superb shape, and looks to run under 60 minutes." Beth Young also had an impressive race in the half marathon and hopes to follow that up with a big breakthrough at 10 miles. Aside from the men and women racing for the elite prize money, the GRC harriers will compete against each other on intramural teams honoring GRC alumni. Dirk DeHeer and Dylan Keith's contributions to the team are being recognized and their tenacity and passion for running with no doubt sublimate to the runners competing in their names. Additional Cherry Blossom details are available here. Cherry Blossom 2011 from Tow Path on Vimeo. The Cherry Blossom Ten Miler is on Sunday! It’s certainly the biggest race for GRC this spring and one of our biggest races for our team every year. Twenty-three (!) runners will don our singlet this Sunday. First and foremost, get to the race early! It never hurt anyone to get to Cherry Blossom with an extra 20 minutes to spare. If you’re 10 minutes late, that probably means you’ll be 20 minutes late as the crowds get exponentially larger as the morning ticks away. 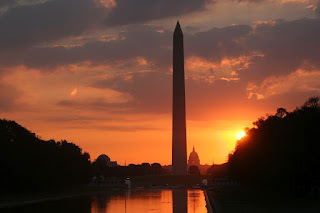 I plan to arrive at the elite athlete tent (between the starting line and the Washington Monument) no later than 6:00am. Metro opens at 5:00am and it is advised you take the train to the Smithsonian stop in lieu of driving. Second, go to the CB website and familiarize yourselves with the race route and the staging area. 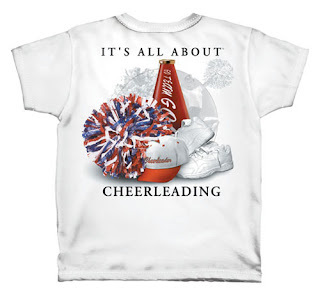 Third, please wear any/all the GRC garb you have. We want to (obviously) look like a team while we are out there. If you’re in need of gear (specifically singlet, t-shirt, pants) reach out to Michelle Miller (women) or Patrick Murphy and Coach Jerry (men). Knowing that everyone likes to do his or her own thing before any big race, myself and a handful of others plan to warm-up from the START/FINISH LINE at 6:30am SHARP - 60 minutes before the gun goes off. If you’re interested, begin gathering at the finish line at 6:20am. The women’s elite race starts at 7:20am, but all of us will start at 7:30am. The warm-up will proceed to the less populated bathrooms 200m-400m from the starting line. After taking care of any business here, we’ll run the first mile+ of the course, before turning around somewhere near Memorial Bridge and heading back to the elite tent. Those wishing to run longer and/or head to the restroom again will have time to do that. 7:20am – Elite Women’s race starts! 7:30am – GRC runners start! We have both a men’s and women’s team competing for a $1000 prize purse, but, unlike last year, it will be a battle. PACERS has put together two very competitive squads and the race could be won, or lost, on Hains Point so everyone will need to run smart and stay strong. The winner is determined by the overall combined time of the top 3 runners - every second will count. The weather, less than a week out, looks ideal: mid-40s, partly cloudy at race time. GRC’s Armchair Meteorologist, Andy Sovonick, will provide an update later in the week. There will be a team gathering at Cleveland Park Bar & Grill at a TBD time after the race. There is NO packet pick-up on race day, but a group will be heading over to packet pick-up after the 9:00am run from the Georgetown Store on Saturday. Packet pick-up is on Friday, March 30, 2012, Noon - 7:00 P.M.
Saturday, March 31, 2012, 9:00 A.M. - 5:00 P.M.
Those who are NOT racing Cherry Blossom are strongly encouraged to come out, support the team and witness one of the greatest races in Washington D.C. We will need all the applause and cheer you can muster. It's time to send 'em. 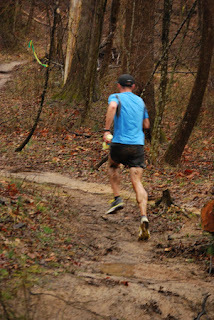 Karl Dusen won the prestigious Montgomery County Road Runners 2011 Runner of the Year award yesterday and also won the Piece of Cake 10k race in 34:22 at Seneca Creek State Park for an easy win. Rumor had it that he was later seen wearing his new prized Runner of the Year jacket at the Grosvenor Market thereby following in the footsteps of preceding winners. Security and surveillance tapes are being reviewed now in hopes of getting a candid photo of him sporting his new jacket. And kicked he did -- 1:12:25 at the Anthem Shamrock Half Marathon, closing with 5:20 and 5:16 miles. Came through 10 in 55:40. Slam dunk performance from the man with the engine. Close to, if not a PR, it is believed. In his words: We had slight headwind on way out and rewarded with tail wind on way back. I ran a smart even race and was patient even though the splits were slow on the way out. Left it all out there. Last 5K I was deep in the pain cave but dug deep. Run options ranging from 1 to 2 hours. 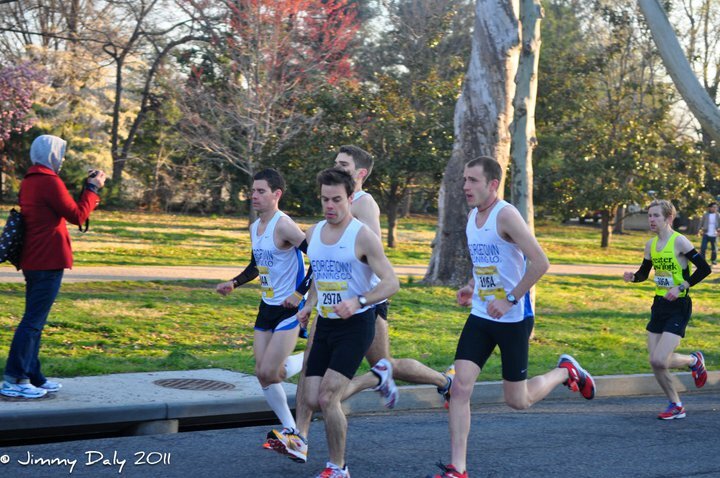 Dave Burnham kicked off his racing season with a 69:07 at the National Half Marathon Saturday morning, finishing fifth. Looking strong through the fast opening four miles, he dug in during the climb through Adams Morgan and had a healthy gap over any pursuers at 10 miles, which he split in 52:27. Beth Young ran the race to get her legs underneath her after a long layoff, but clearly that time didn't wreck her too much, because she PRed by 90 seconds in 1:22:54 to finish fifth. She took advantage of a fierce second half, especially miles 9-10. 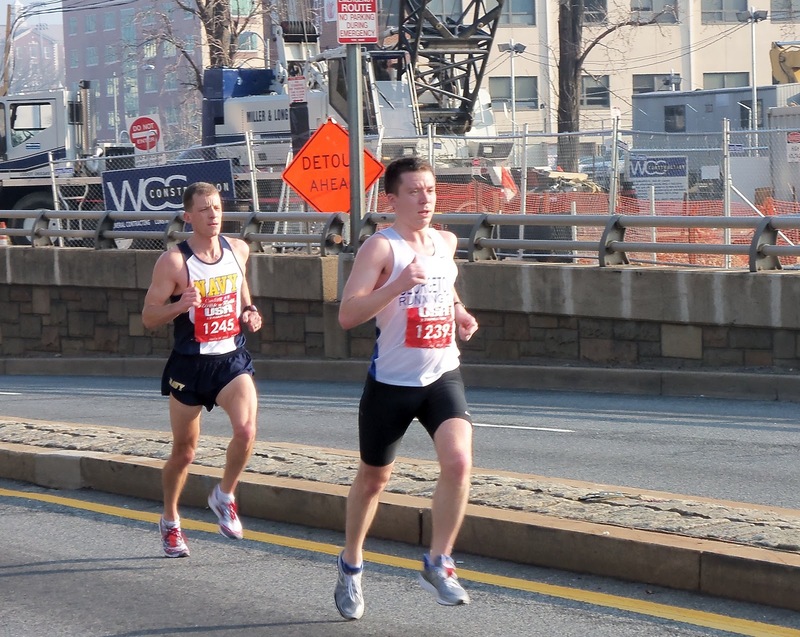 Patrick Murphy celebrated Irish Awareness Day with a 1:13:29- nearly a one minute PR! And that coming from a season where he's focusing on Boston in a little more than a month. Breezy and Lavar stayed patient, both of them focusing on the brisk jog in the Bay State coming up in April, and rolled to 1:18:04 and 1:18:56, respectively. GRC will be competing on both the roads and on track this Saturday. 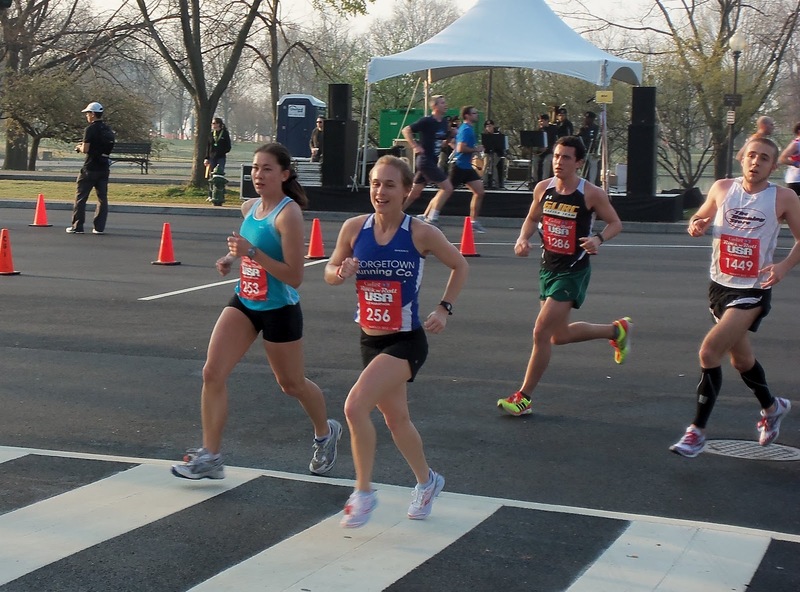 In downtown Washington, several athletes will run the Rock and Roll National Half Marathon in DC. The race will feature the long-anticipated return to action of Dave Burnham and Beth Young, both of whom cut short their 2011 seasons due to health concerns. Dave and Beth are in excellent shape, and while they are using this race as a tune-up before Cherry Blossom, they both expect to run well. Patrick Murphy, Brian Young and Lavar Curley are also running with a focus on big PRs in Boston in 5 weeks. In Catonsville, Maryland, GRC is sending its best and brightest to the Forget Towson Track Invitational at the University of Maryland, Baltimore County. The 3k promises to be a 4-way battle for the club record between 5k and 10k club record holder Sam Luff, 5 mile club record holder Karl Dusen, 3k club record holder Ryan Hanson, and newly-minted indoor mile club record holder Ryan Witters (YOU CAN PREDICT THE WINNER ON THE POLL TO THE RIGHT). Never one to shy away from bold predictions, GRC coach Jerry Alexander proclaimed, "It's going to be a dogfight in the last 400. Sam is certainly the man-in-form right now, but Witty is sharp. This will be Hanson's first race of the season, so he lacks sharpness, but he has looked extremely fit in workouts the last two weeks. And of course it's never smart to count out Karl who, as the greatest distance runner in Columbia University history, is loathe to let a Cornell man beat him. It promises to be an entertaining race right from the gun." Also in the field are Jason Myers, who ran a huge PR of 8:54 earlier this spring, Luke Albertson, who ran 15:03 for 5k indoors, and Sam Boimov, who will be making his triumphant return to UMBC, his alma mater. All of those athletes will also compete in the 4 x 800, along with GRC 800 ace Chuck Kacsur, who will run the opening leg against Witters. Said Alexander, "it should be a great battle between two evenly matched GRC teams. Chuck will have fresh legs, but Witty ran 1:57 shortly after his excellent mile two weeks ago, and could give Big City a run for his money." We bumped the start time back to 10 to accommodate those driving farther, so the men's 3k will go off at 10. We are still planning on having a separate women's heat, which would go off at 10:20, but that right now depends on the number of women competitors we have. If you are interested in running, let me know quick! The 1200 will be at 10:40, and then the 4x800 will be 10:50. However, if we do not have a separate heat of women's 3k, we will move things up a little bit, without compromising the rest for those racing the 3k and 4x800. I will be coming from an early morning event and expect to get there just before 10, so arrive and do your warmups as you see fit. If you have any questions, let me know. I'll likely tack on two extra miles at the end bringing the grand total to 14. Can't wait for the GRC One Shining Moment after Cherry Blossom. It was GRC March Madness this weekend as many of our athletes were in action. There were several fine performances, but the coveted GRC Athlete of the Week award goes to Jake Klim. Jake has been battling a series of injuries for almost two years, and as the setbacks mounted, it seemed like it might be time for Jake to take up knitting. But Jake never gave up hope, and on Sunday he ran his first competitive race in months at the Shamrock 5k in Baltimore, running a very encouraging 15:28. And Jake was not just happy to be out there. Rather, he ran for the win. While he didn’t quite have enough gas in the tank to hold on to the lead, Jake showed the heart that made him a force prior to in his injuries. On behalf of a grateful and adoring nation, I say welcome back! In non-Klim news, we had some strong performances in the USATF 15k Champs in Jacksonville. The wind made fast times impossible, but the whole gang gave it their best shot in the difficult conditions–Drea, LTO, and Elyse for the women, and Tex Paul, Dickson, and Outlaw for the the men. It’s important that we compete in races of this caliber, and this race in particular gets rave reviews for the way they treat elites, so we should plan on sending a larger group next year. Locally, we had a strong women’s contingent at the Van Metre 5 mile, led by Anna, Maura, and Susan, and solid performances on the men’s side from Karl, Charlie, and Breezy. While the presence of the Thopians, as Jacob would say, limited our prize $ haul in the individual pool, Charlie reportedly ate his weight in scrapple at the breakfast paid for by our team winnings afterwards. 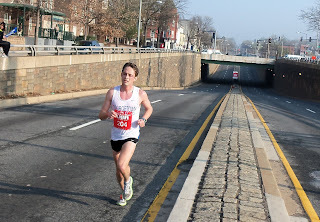 We’ll be back in action this week, with many folks running the National Half on Saturday, and our track contingent heading to Baltimore for an epic 3k and 4 x 8 with our friends from Falls Road Running. If anyone wants to jump in to the 3k, let me know. The more, the merrier! As we get further into the spring season, the workouts are going to become more event-specific, which is going to mean that we’ll be breaking into smaller groups. I will do the best that I can to keep folks working together, but individual variances will be inevitable. If you have any questions about what specifically you should be doing, please let me know. For this week's workout, the men’s A group will do a 6-5-4-3-2-1 (laps) ladder. The 6 will be 74s, the 5 will be 72s, the 4 will be 70s, the 3 will be 68s, the 2 will be 66s, and the 1 will be 62-ish. We’ll try to keep the rest at 3 minutes. The B group will be splintered this week, as many of you are running National Half, and obviously you’re not going to want to do a hard workout less than 72 hours before the gun goes off. For anyone running National, I’d suggest 3 x mile at goal pace. B group guys not running National might want to jump in some of the A group workout. I’ll talk to you guys separately about a plan. High winds in Jacksonville stifled many's hopes, with much of the course unprotected and almost daring the wind to take a swing at runners. 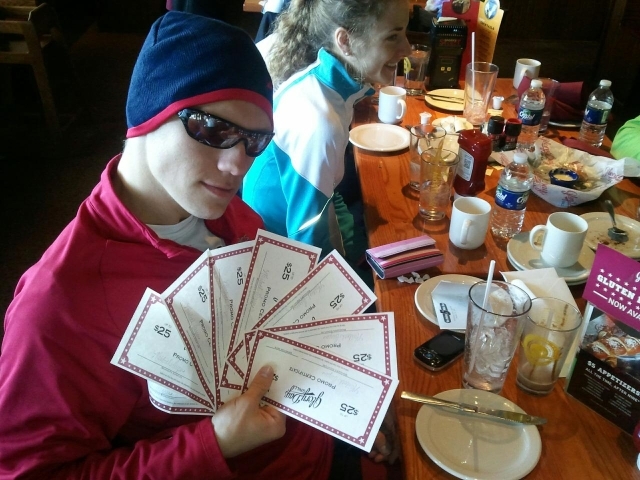 Meanwhile, in Ashburn, VA, the GRC Racing Team won the Van Meter 5 Miler and in doing so collected about a million dollars in gift certificates to a local eatery. Karl Dusen and Anna Holt each took 3rd in their respective races. Dusen finished in 25:53 and Holt ran (unofficially) 29:10. Charlie Ban returned to racing finishing 4th with a time of 27:38 and Brian "Breezy" Young rolled to a new PR of 28:25. Unofficial results had Maura finishing 4th in 29:13, Hendrick 6th in 30:02 and Avril 9th in 32:35. actual times were likely 30 second slower across the board, based on everyone's stopwatches. In Chambersburg, Pa. Matias prepared for next weekend's Shamrock Half Marathon by running 1:14:30. Nobody ran the St. Patrick's Day 8k Sunday morning, but a crew headed up Baltimore and raced the Kelly's Shamrock 5k in the afternoon. 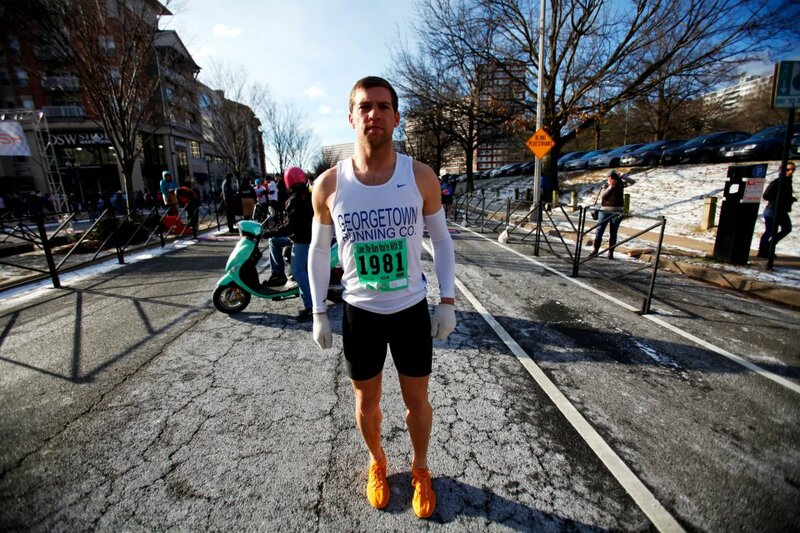 Jake Klim valiantly led for the first 1.5 miles before fading to fifth in 15:28, his fasted road 5k in two years. 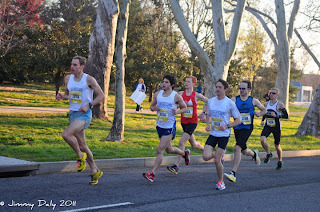 Dave Wertz followed him in 15:35, with Chris Bain in 16:10 and CTR in 16:24. Liz Laester finished fourth in 18:23. The highlight of the weekend will no doubt be the Jacksonville Gate River Run, which serves as the USATF 15k championship. Seven GRC runners will joining an absolutely loaded field and hope to make some noise in the team competition, which will also feature McMillian Elite and the Boulder Running Company. Sam Luff will headline the team. "Sam has had a fantastic training cycle so far," said GRC Coach Jerry Alexander. "He’s hit every single workout right on the money, and he’s ready to roll. While this is something of a tune-up for the major track races coming later this spring, Sam is going to run hard, and mix it up with the elite field." Alexander also expects strong performances from Jerry Greenlaw, Paul Guevera, and Dickson Mercer. "Paul is coming along very nicely, and he appears ready to pop a good one. Jerry has been training well, and he hopes to improve on his solid 47:57 from last year, which is the current club record. Dickson is preparing to run a big PR in Boston in April and has been logging very high miles, but he’s backed down this week and is ready to race." The women will be led by Drea Garvue, who ran a PR in last November's Philadelphia Half Marathon. "Drea is in the best shape of her life," Alexander said. "She ran a 5k PR in January indoors, in a race where she lapped the entire field, and she’s been looking stronger and stronger every passing week. Drea is more comfortable with the longer distances, and with the level of competition she’ll be facing on Saturday, she has a good shot at a major breakthrough." Garvue’s teammates Laura O’Hara and Elyse Shimada will also make their presence felt. "Laura is an incredible talent, but she’s going into the race with low expectations because she’s been fighting an illness the last couple of weeks. Laura is an extremely tough competitor, and Jacksonville is her adopted home town, so I know she’s going to run very hard. This will be Elyse’s first competitive race since October due to injury, and while she’s not quite back to her pre-injury fitness level, she’s looked very solid in training, and she will get after it on Saturday." Meanwhile, in Ashburn, a group will take on the Van Metre Five Mile. 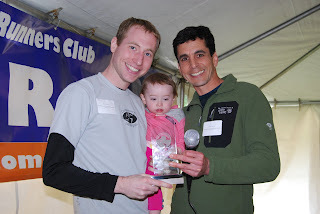 The GRC has had success recently at that fundraiser for the Children's National Medical Center, capturing the men's title in 2010 (Dirk De Heer) and women's (Beth Young) in 2011, along with a dominating men's performance last year with five of the top nine places led by Karl Dusen's 24:03. Charlie Ban and Brian Young will give the race another shot, joined by Anna Holt-Gosselin, Maura Carroll, Susan Hendrick and Avril Ogrodnick. Sunday afternoon, a slew of men will chase fast 5k times at the Kelly's Shamrock 5k in Bodymore, Murderland. Dave Wertz will continue his meteoric PRing in the 5k, along with Jake Klim -- returning to racing for the first time since last summer, Greenway Marathon champion Chris Bain and some guy named Andrew Sovonick. I plan on running an easy hour from the M Street store at 9am. Want to live like P-Diddy? 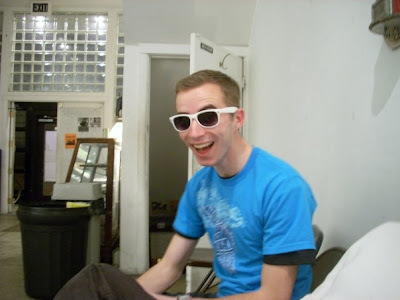 Follow Chris Bain's example. 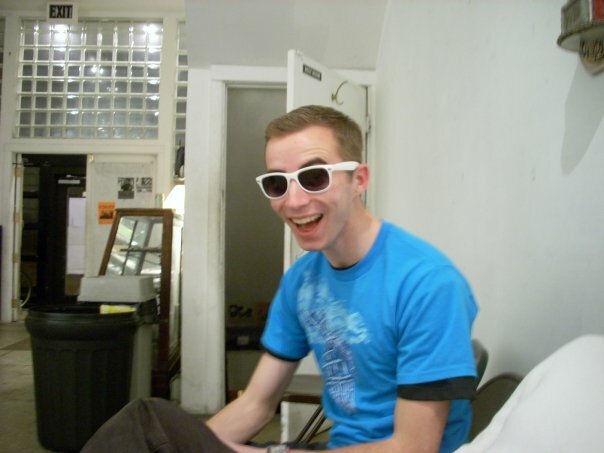 Chris Bain is just like you and me. He wakes up each morning, puts on his running shorts one leg at a time. Eats breakfast. Brushes teeth. 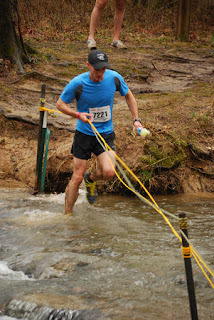 The only difference is that next he will run in and win a 30 mile trail "marathon", as he did this past Saturday at the Seneca Creek-Greenway Trail "Marathon/50k". Through mudslides and high water he soldiered forth to victory. 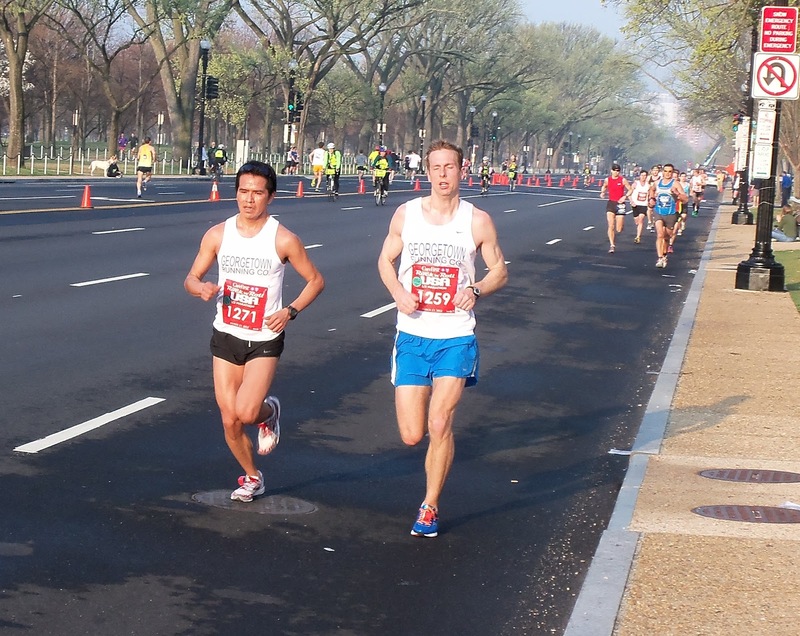 Scott Koonce and Jordan Snyder ran also, Jordan "negative-splitting" in the 50k (plus 5k). Scott of course wore flannel. 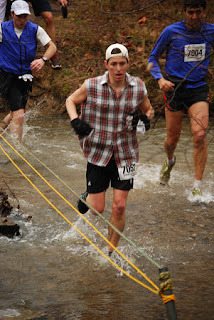 No pictures of Jordan as he extended the course to cross the river using a log. Way to be a man, Jordan. Congratulations to Witty on an excellent double this weekend in NYC. A club record in the indoor mile and a fast 800 shortly thereafter, off of essentially no speed work, is impressive indeed. If a small town boy can make it there, he can make it anywhere. Well done! The club records are going to keep coming, as we’ve got a full calender of racing this weekend. We’ll be well represented at the USATF 15k Championships in Jacksonville, and many of you will be in action on the roads locally. I’m really excited to see the early returns in what promises to be a great season for GRC! For the workout this week, we’ll have multiple options for the men to choose from. The 15k gang will want to keep it short. Sam is going to do 6 x 800 with a 400 jog, 2 @ 2;24, 2 @ 2:22, 2 @ 2:20. I’d recommend that the A group men who are not running the 15k do those 8s with Sam, and then do 4 x 400 afterwards, and get rolling on the last couple of 4s. For the B group men who are racing on Sunday, or not racing at all this weekend, we’ll do 10 x 800 with a 400 jog, 2 @ 2:32, 2 @ 2:30, 2 @ 2:28, 2 @ 2:26, 2 @ 2:24. If you’re racing on Saturday, you’ll probably want to stop at 8. We can also add a C group for anyone who wants to start a little slower. On an important administrative note, if you are running SHAMROCK 5K IN BALTIMORE, please contact Andy and me, so that we can arrange for our friends at Falls Road Running to pick up your packet for you, since there is no race day pickup. If you have any questions about what exactly you should be doing, give me a shout. New Club Record in Indoor Mile @ Columbia Last Chance Meet! Also, Charlie wants to know if anyone is interested in 10-11 miles Monday evening from the Chevy Chase store at 6 pm. 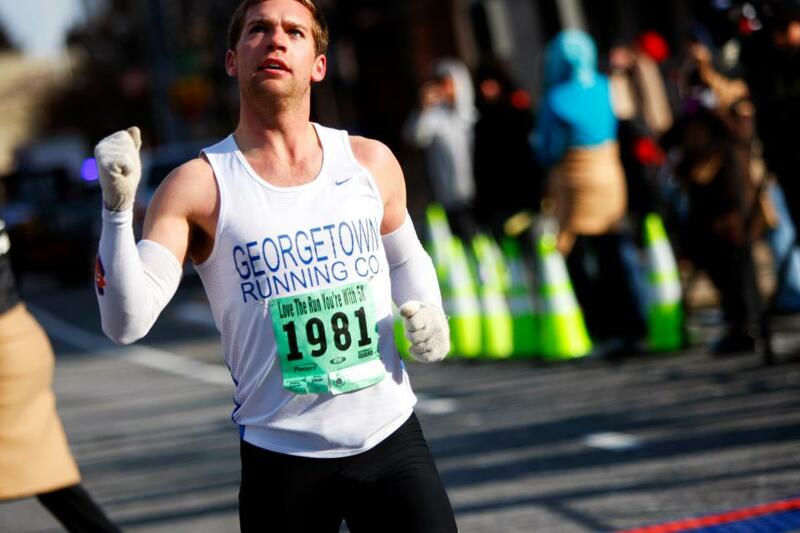 It looks like there won't be a Saturday workout so I plan to meet for a 15-16 miler run from the Georgetown Store at 9am. I was thinking a C&O Canal-Glover Archibald-Rock Creek loop. I think Sam said he was interested, but might go shorter per the workout the next day. Anyone else want to run long on Saturday instead of Sunday? If there is a Sunday long run option brewing, please post it here.